In this Chakra Activation meditation, I take you through each of your 7 main chakras and activate and open them up individually. 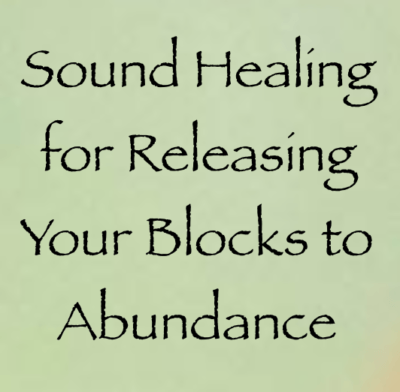 This meditation clears all the blocks that prevent you from feeling open, confident, happy and aligned to the truth of who you are and your Soul’s purpose. Prior to my Spiritual growth and awakening, I never really thought about my chakras. I didn’t even really understand how they affected my heart, body, mind and soul. When I began to open up to a deeper level of awareness and knowing within me, I began to really understand and harness the power of my CHAKRAS. I truly believe that they are an integral part of creating a happy, healthy and fulfilling life. 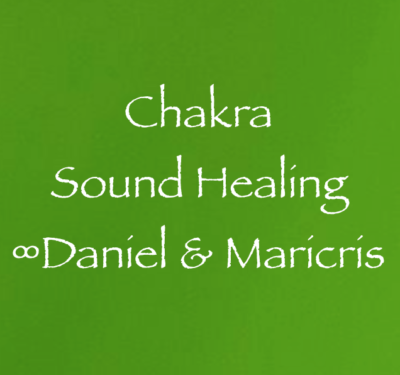 When any of our chakras are out of alignment, you might feel a sense of physical discomfort, emotional imbalance, mental confusion and lack a strong spiritual connection to the DIVINE. If you don’t feel like yourself, are feeling out of balance and lacking a sense of enthusiasm and passion for life, one or more of your energy centres may be out of alignment. However, when your chakras are in alignment, you have optimal physical health and well-being, emotional clarity, peace of mind, connection to Spirit, confidence in who you are and you feel centered and balanced. 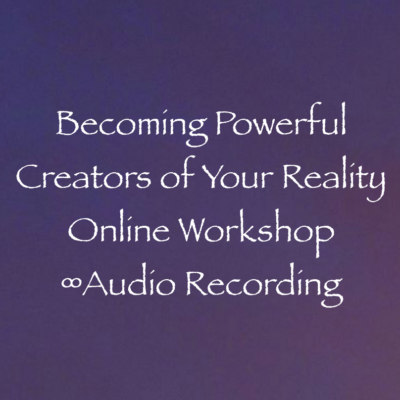 The audio from this workshop I did with my lovely and talented wife is over 3 hours and 17 minutes in length. The workshop began with a guided meditation, led by Maricris. Next, I channeled The Creators on the topic of the upcoming year and what to expect/how to optimize our abilities to create our reality. Maricris then offered some suggestions for the upcoming year as well. 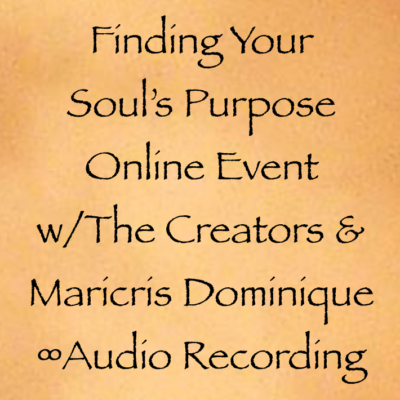 In the 2 hour and 15 minute audio recording from this online event I did with my lovely and talented wife, Maricris Dominique Dela Cruz-Scranton, you’ll receive a myriad of insights on the topic of Finding Your Soul’s Purpose. 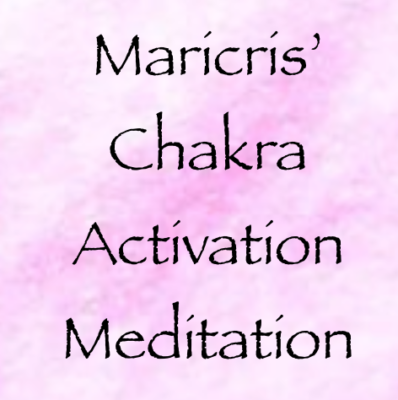 First, Maricris led us all through a guided meditation that brought us into a grounded state of readiness to receive. Next, I spoke about my own experiences on the topic, and then I channeled The Creators and they delivered their insights. 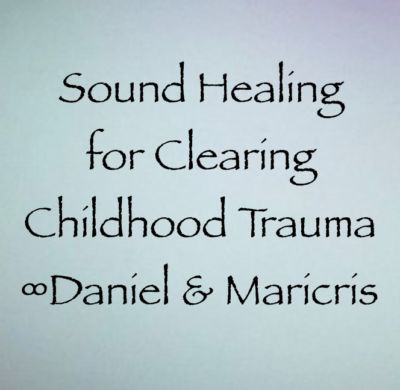 Maricris also chimed in on the topic and offered a list of steps to take to bring ourselves more into alignment with finding and living our soul’s purpose. 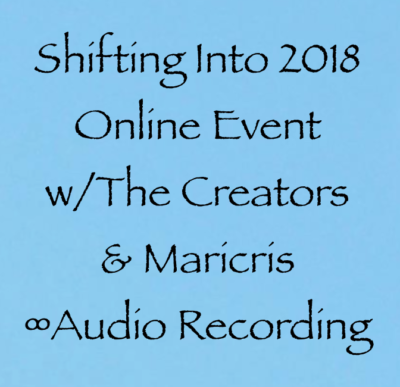 In the audio recording of this online event, which lasted just over two hours, Maricris Dominique Dela Cruz-Scranton, The Creators, and I take you through a journey to your third eye. First, Maricris led us all through a meditation that will ground you and connect you more deeply to Source. 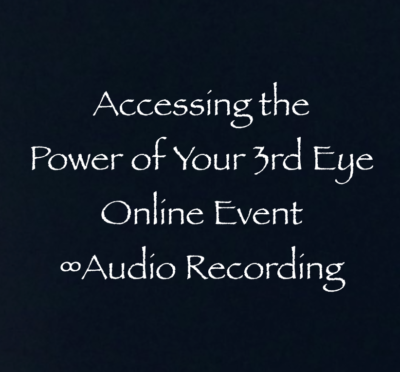 Next, I channeled The Creators on the topic of accessing the power of your third eye and they led us through a process designed to help us do just that. And then Maricris spoke on the topic, giving tips and steps to access your third eye more consistently and effectively. Then we opened it up to questions, and The Creators handled the first set of queries from the attendees. 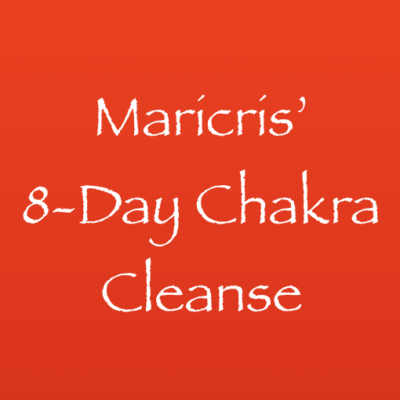 Next, Maricris used her gifts as a Psychic Priestess and Shamanic Soul Activator to answer a second set of questions. The questions asked came from a variety of topics, and a lot of ground was covered in the event. Enjoy! 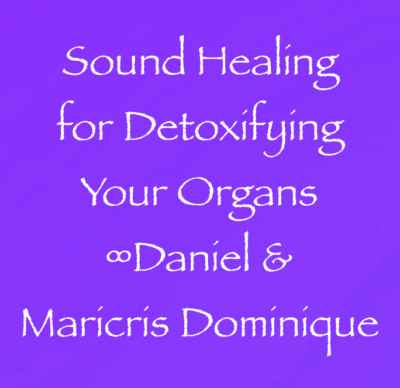 The audio recording of this online event I did with Maricris Dominique Dela Cruz-Scranton and The Creators is a little over an hour and a half in length. 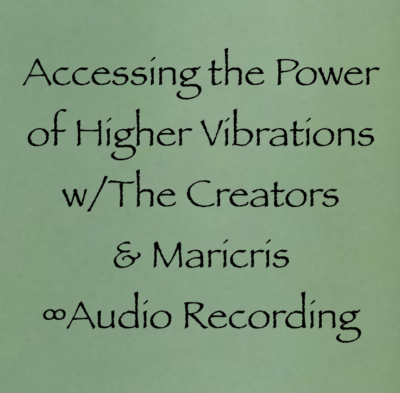 On the recording, you’ll receive a guided meditation from Maricris, as well as a channeled transmission from The Creators on the topic at hand. 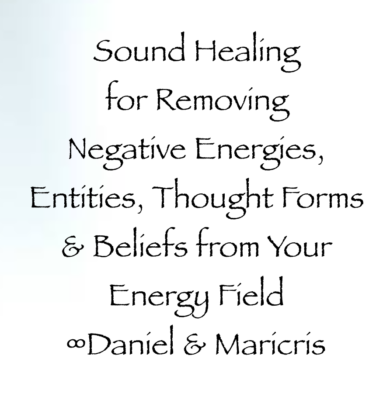 Also, Maricris offered a list of 8 ways to raise your vibration. 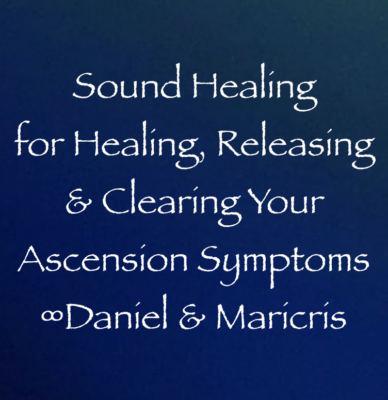 In the just over 2 and a half hour audio recording from this online workshop that I did with Maricris Dominique Dela Cruz-Scranton, you will benefit from my channeling of The Creators and the wisdom Maricris accesses as a Psychic Priestess and Shamanic Soul Activator. To kick off the event, Maricris led us all through a beautiful opening meditation, connecting us with Mother Earth and Source. 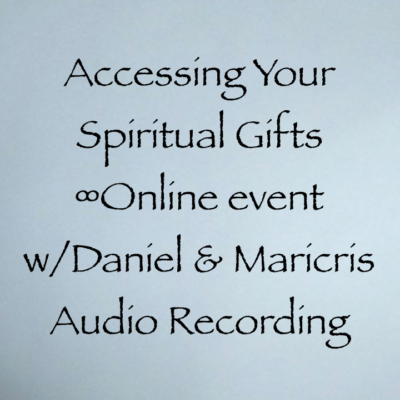 In the just over two and a half hour audio recording from this online event that I did with Maricris Dominique Dela Cruz-Scranton, you’ll experience my channeling of The Creators, as well as the guidance from Maricris, who is a Psychic Priestess and Shamanic Soul Activator. To start the event, Maricris led a beautiful guided meditation that aligned us all with the Earth’s energies, Source, and our chakra system. This meditation is one you can do every day to align you with the truth of who you are. 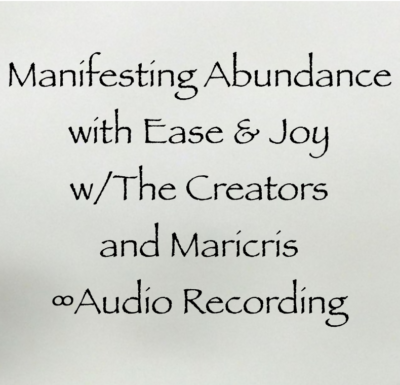 Next, The Creators brought through their perspective on the topic of Manifesting Abundance with Ease & Joy. Following their opening transmission, Maricris discussed her own journey with the topic and offered insights and support to the group.